Or bug bounty … got home to these creatures dead and dying on my regular path beneath the house in Bris. I can’t find a likely source, they are around 100 and grouped in a rough disc in the middle of the path with no trail back to anywhere I can see, and they don’t seem to have come from the house above. 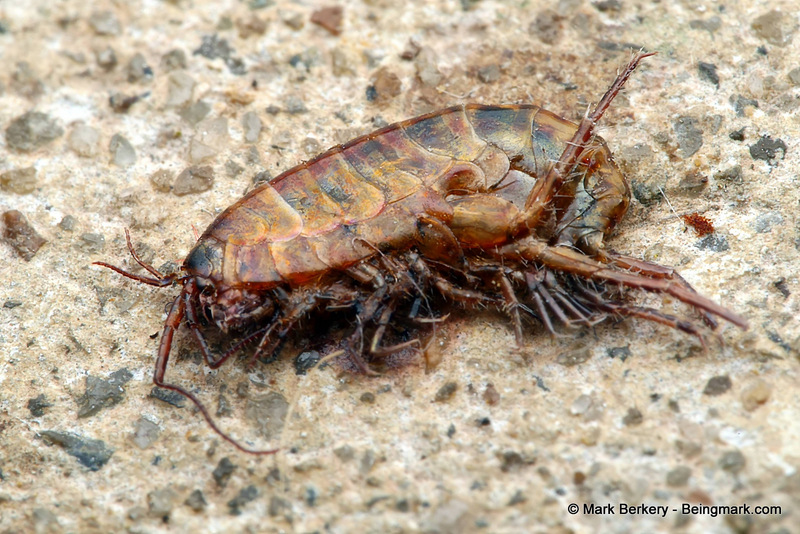 They jump like fleas too, and between 10 and 15mm long – roughly. Does anyone know what they are, and what their likely source could be? They are not attractive creatures, re-minding as they do of uncomfortable encounters. Thanks Lissa. That could be it, looks like it. Land shrimp or lawn shrimp, possibly washed out of the grass by recent rain? I don’t know anything about them but I’ve often seen tiny ones when I’m digging in gardens or in leaf litter in the bush. I also thought of those creatures that go hopping when I lift a settled pot tray in the garden, but these are bigger. Recent rain might have brought them. 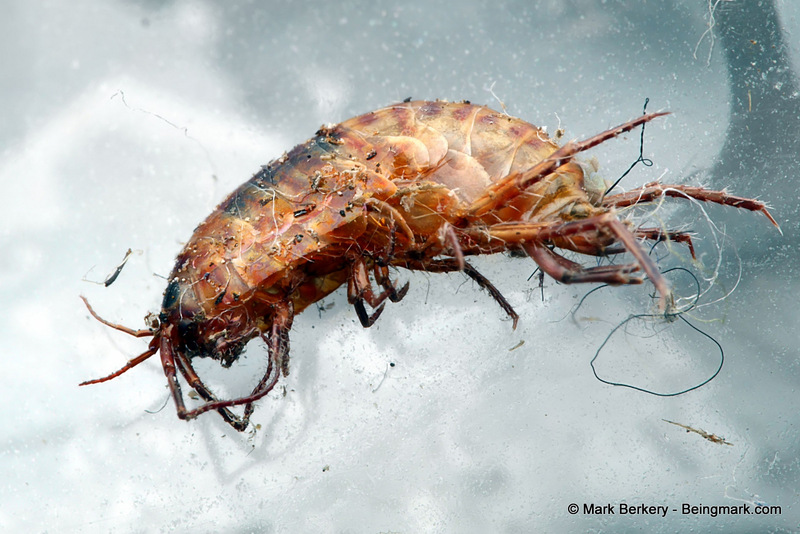 I’d be looking at crustaceans, like Gammarus. Come up, dried out and died? I was also thinking tiny shrimp … I didn’t see them come, just found them mostly dead, and a few more this morning. If they came from the garden it looks like they travelled quite a way and stayed in a tight group. Still weird … when there is so much space nearer the garden they could have landed.